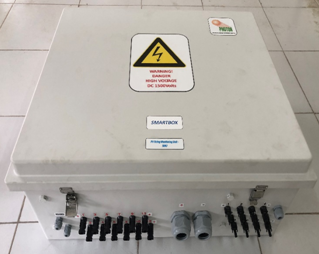 Photon Smart Systems are the latest generation STRING COMBINER BOXES, STRING JUNCTION BOXES & SCADABOX from Photon company. 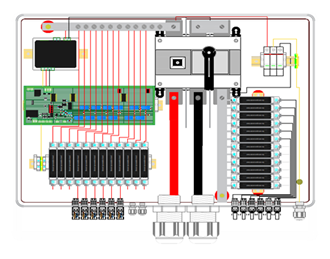 These microcontroller based Smartbox’s come with the latest IOT technology and available with communication protocols of RS 485/ ModbusRTU/ IEC 61850 power plant communication protocol. These are assembled in IP66 & IEC 62208 enclosures for the highest standards in reliability & safety. 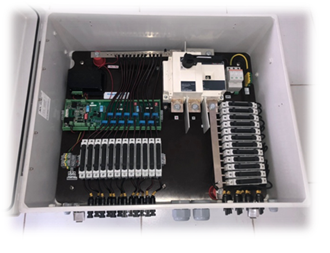 Unique features include IEC 61439 compliance, the latest IEC standard, mc4 connectors for easy connectivity, tooth bus-bar design for reduced cabling & improved reliability, advanced smart analytics (first in India), temperature monitoring and error alerts through SMS/email/SCADA/Cloud. The active analytics and alerts keep plant personnel alerted of vital parameters like lower generation, temperature anomalies or potential fire hazards. This ensures prompt information to service personnel, reduces drastic generation losses & improves safety by warning about potential fires.